This money-saving bundle is a collection of 17 different products and over 400 pages of posters giving you everything you need to decorate, organize, and manage your classroom environment! 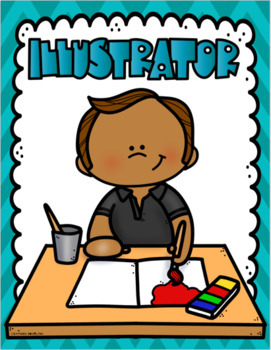 This bundle also includes editable versions allowing you to personalize a poster for virtually every occasion. 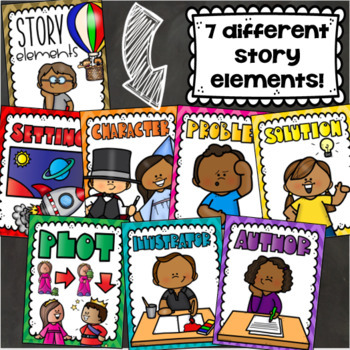 Click here to see my Story Elements Matching Game! 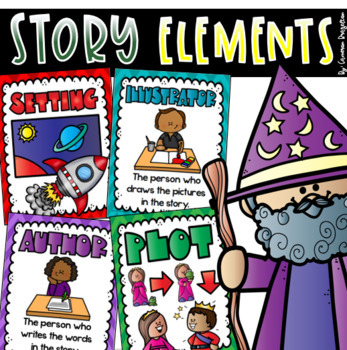 Use these cute Story Element posters to help reinforce the main parts of a story! 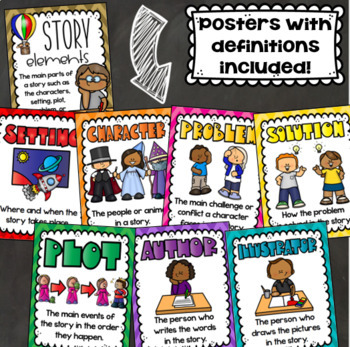 This set of posters includes 8 different posters, and two different versions to allow you to choose the version that works best for your classroom. Print once and use year after year! * Posters set to print on standard 8.5" x 11" paper.